There are different estimates being banded about on how much the PL clubs will receive in May for the first year of the new three year £5.1B Premier League TV rights deal. In the previous three years the amounts were anywhere from £60M to £100M depending on where the club finished in the league table and how many times the team was on TV and stuff like that. The way we got to our estimate was to say that previous deal was worth £3B so we basically multiplied the previous figures by 5.1/3 – and that’s a multiplying factor of 1.7. So if you do that the money this May will be anything from £1.7*60M to £1.7*100M. That’s £102M to £170M so if Newcastle finish around mid table next season we will get around £136M oin TV rights . Rough estimates for sure but some logic to it hopefully. Our total revenues are also made up of match day revenues and commercial revenues. By Rafa getting Newcastle promoted at the very first attempt Newcastle survived financially for one season, but if we didn’t go back up this year we would have had to cut expenses as the parachute payments tend to drop off over the three years we would get them. Believe me there will be massive relief at Newcastle for that great win last night that finally sealed our promotion. From the Championship this year the TV rights for each club are £7.1M, but in May this year we will also get a parachute payment of £40M – it was going to be a total of £87M over three years – but the £40M will be the only parachute payment we will now receive. Not sure what the exact parachute payment would have been for the second year but if we assume it’s £30M then we would get about £37M next season whereas if we finish mid-table in the Premier League we’ll get £136M – almost £100M more. 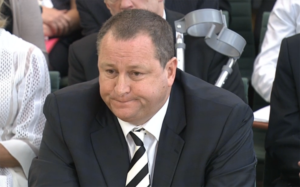 So Mike Ashley’s club will generate some serious revenues next financial year and it’s not only that which makes Newcastle United a much richer club. Newcastle United Football Club is now a Premier League club once again with a world-renowned manager in place so how much would Newcastle be worth on the open market right now? It’s now got to be close to £300M or even more and the publicity today around the world today cannot hurt Newcastle’s profile. Now compare that to how much Newcastle were worth this season as a second division English club. And Mike doesn’t want to fund him to make Newcastle much better than we are and all that entails in Premier League TV rights money and the worth of the club? Mike will fund Rafa what he wants this summer or as much as he can possible give him – and the above points are some of the financial reasons why Mike will do that. He’s also a money-man and not daft financially in any way. Same- Dummett has to stay. Would be essential to get another left back as competition/upgrade but too many seem to have a downer on him. After recent games, think we need the same at right back, maybe a more defensive minded player as competition for Yedlin. Mitro looks like he’ll stay, due to keeping going despite not playing regularly and maybe he’s learning well from Rafa. Wish he’d scored last night, making it 5-1. Not always his biggest fan, but he has done ok. Watched some youtube videos of the singing and it was great. Only surpassed by the two fans kissing after the third goal. Hibbitt – am too hungover! As they say – never mix the grape and grain! Lots of beer then cracked open a bottle of Prossecco when beer ran out! Enjoyed the celebrations at end of game! Scoring is the main job of a striker and Mitro has not accomplished that this season, but the goals will come. He has talent – a good touch, a good turn and strength and desire. Put a few more crosses in and a better 10 around him and then lets judge. I am more concerned about Gayle and that hamstring. We all see that Rafa likes the pace at striker and not sure if Gayle will be able to stay healthy. I was paraying for it to be 5-1 for you, I was even a bit worried that if we scored the fifth too soon we might then score a sixth. My apologies if I took you out of context, I thought you were siding with Ashley sticking his nose in. It could be argued that hiring Carver while they waited for McLaren to be sacked rather than pay compensation was vindicated as we didn’t get relegated where as the reality was all those defeats caused long lasting damage. I’m still buzzing after last night’s win and promotion. Back in the premier league, get in. We’ll done to Rafa and the team. Fulham however have conceded 14 more goals. WWSBRD – I don’t know how you could rate Diame over Perez. Granted Perez has had some shockers but he has also had some good games and chipped in with a fair amount of goals – whereas Diame has just been poor nearly every game. hibbit @11 – The rumours are it is either an Online betting company or a Chinese company. I don’t think there is any foundation to these just people speculating. Oh boy, Ketsbaia is back to play fantasy football with his obsessions with certain footballers. Quick, Kets, get on the blower to Scharner! I’m going to predict Just Eat will be our new sponsor. Quickly growing company, just bought up it’s rivals, would gain a lot from been on a PL football club’s shirt, especially during live matches and on weekends filled with sport. They’re currently on Derby’s and the deal runs out this season. They’ll be looking to go bigger and we seem a natural option. My stab in the dark from the multitude of companies that it could be. I’d have Santon back. Great player. Abeid and Marveaux have had good seasons so they’d be good coups as well. I’ve got to disagree with your view that pundits saying the squad’s not good enough for the Prem, will strengthen any case for major investment for rebuilding. Ashley could well use that as a basis for saying that Rafa’s buys were not long/ medium term investments who could adapt to the Prem. He sees the £70 or so millions wasted as we were relegated under Rafa. What Ashley won’t acknowledge is that those players were recruited by Carr and without reference to the squad needs and more particularly presented McLaren and Rafa with a fait accompli. Rather than blaming coaches on failure, he’d be best identifying who really bought the doubtless talented players who under performed or in Thauvin’s case didn’t, at Newcastle United. If Ashley wanted an objective assessment on why we we were relegated he should either commission a very expensive report by some firm that’s expert in English football, invite and listen to the views of the fans who know more about matters Newcastle United than he does. Listening to and acting on the advice of Carr is inviting further trouble and risk Rafa seeing it as undermining him. 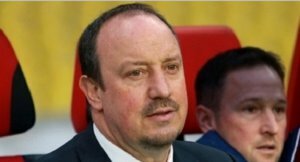 In fact Carr would be better advised to report to Rafa and decline any invitations from Ashley to advise him. Will be interested to see who the new sponsor is. VW seems unlikely but they have a huge rebranding exercise to achieve after the emissions scandal and not sure if football is the way to do that. The two largest global markets for football and products are potentially USA and China. Ashley has interests in China and has just bought a retail group in USA. The Chinese like a bet especially on football and we have a large Chinese community and student population growing on Newcastle. Would prefer it not to be a betting company ( that’s only a step away from Wonga ) but some multi national brand of cultural significance bring it on. I completely get the excitement of seeing new, more talented faces walking through the door over the transfer window period, it’s probably my favourite time of the year. But it seems a bit harsh to be already chucking our players to the curb after they’ve gotten us promoted. Not saying our current squad would do well in the top tier, but all of them deserve praise for fighting for the cause. We DEFINITELY need more quality for the priemier league. I just don’t subscribe to the idea of “you’ve done the job, now fcuk off so we can make space for better. I would still hang onto players like Lascelles and Mitro, just have more experienced players around from whom to learn.